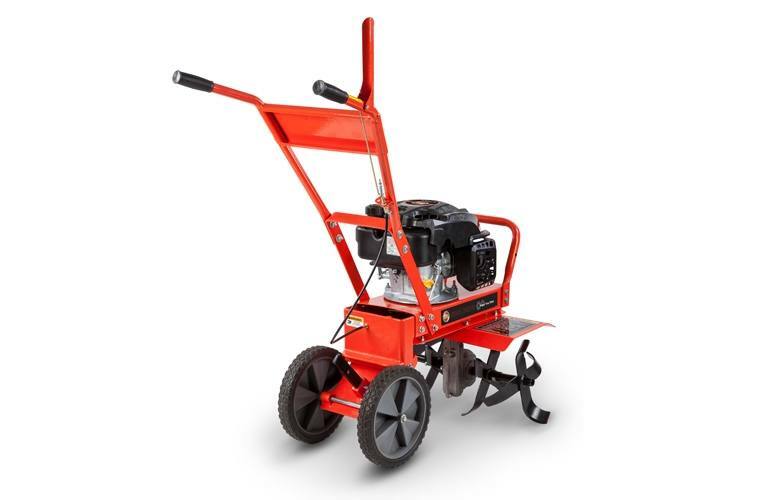 Variable Tilling Depth: Modular Tines, with inner and outer tine clusters, offer three different tilling widths—21" (with outer clusters in widest position), 16" (with outer tines reversed to narrower position), or 11" (with outer tines removed). 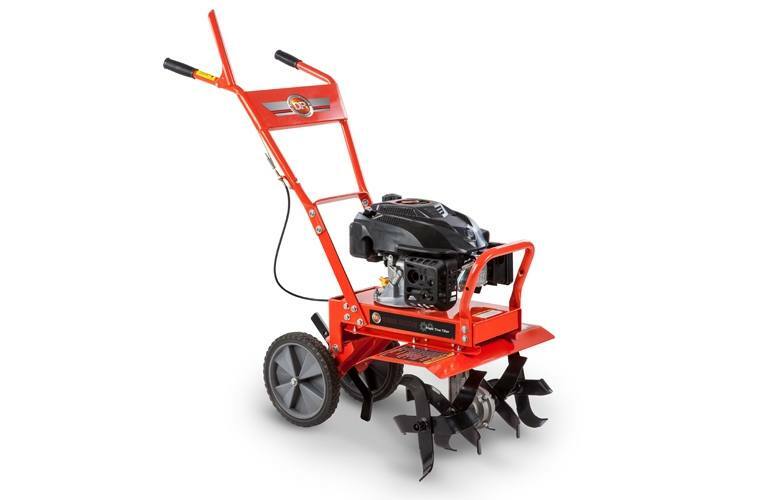 Forward Tine Rotation: The tines propel the tiller forward while cultivating the soil. 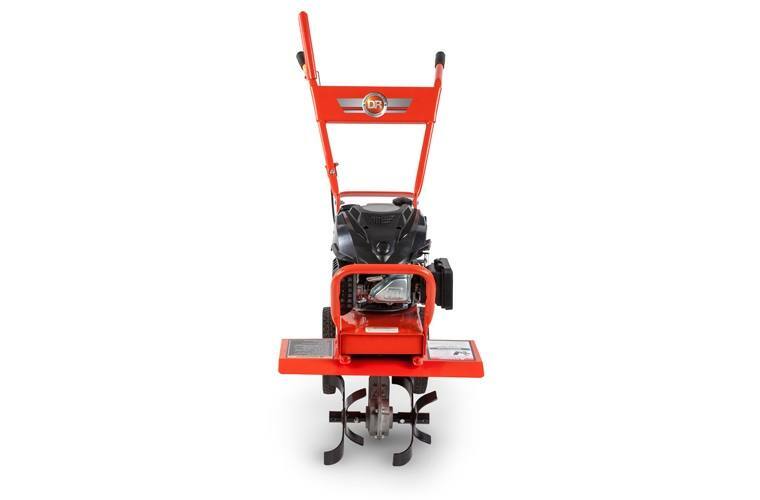 The rear drag stake provides resistance, allowing the tines to “slip" through the soil. 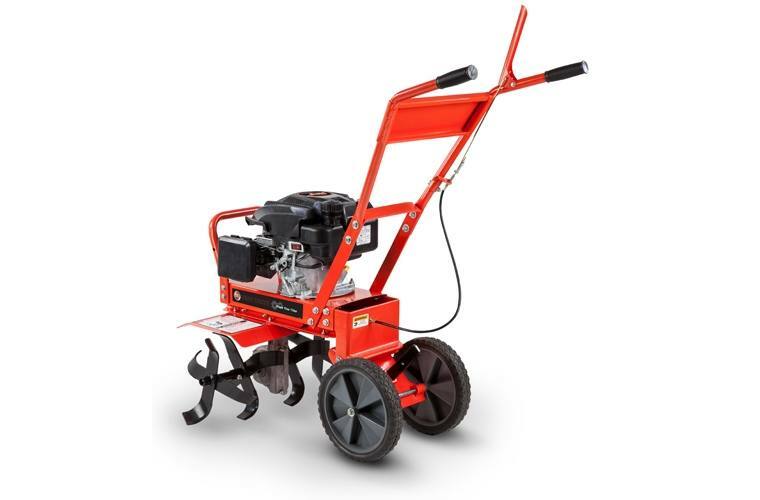 Front tine tilling is ideal for breaking up clods in established gardens. Never Flat Tires: 11" x 1.75" easy-rolling tires make transport easy and are virtually indestructible. 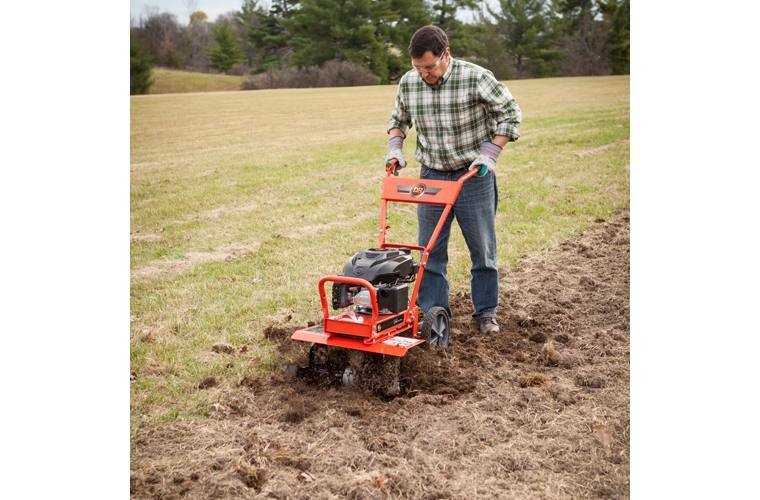 While tilling, the wheels swing back allowing the drag stake to penetrate the ground and provide resistance to the tines. 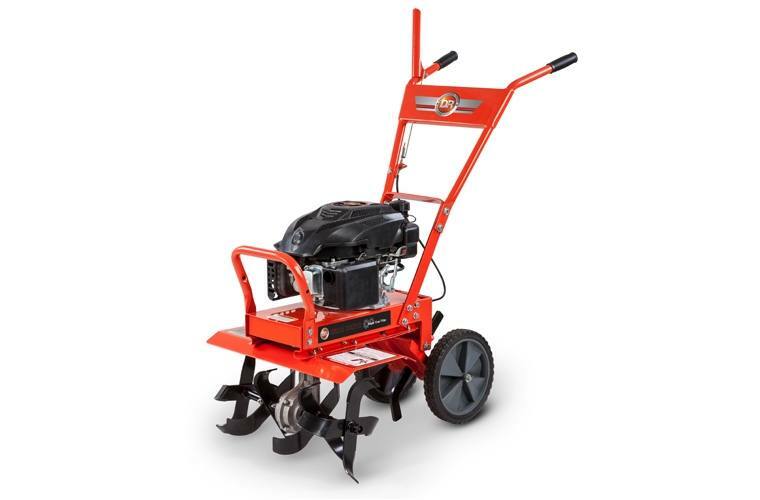 Powerful Engine: Easy-starting, OHV engine has 7.01 foot pounds of torque (173.9cc). 3700 RPM and Cast Aluminum Bore. Warranted for 2 years (90 days in residential use).